Based on news articles and stories of the last two weeks, the ad agency business is changing and finally responding to the shifts toward automation and a digital-centric focus for planning. Last week Carat announced it would be merging its digital and traditional business with the digital team taking the reins of leadership, becoming the centerpiece for planning and buying practices. Then Publicis said it is shifting its business toward automation and centralization of its planning and buying systems, suggesting it is only a matter of time before all advertising is digital. Bill Gross, the bond king at Pimco, long known for his liberal political stances, says today�s rich didn�t get rich simply through pluck and smarts�they got there by taking risks with other people�s money and through low taxes. Today we see the financial markets in turbulence with sub-prime loans creating angst and unrest in U.S. real estate, Wall Street needing the Fed's assistance through multi-billions injected into the nation's banking system, and growing wonder about the trillion-dollar derivative markets. All which brings back memories of Bernard Lietaer's address at the International Reciprocal Trade Association's 26th Convention in the fall of 2005 held at Disney World. Lietaer foresaw and provided a 5-year outlook for the worldwide currencies and his perspective of currency upheavals ahead. At last year's IRTA convention Tom Greco stressed the importance of, and the opportunity for, the commercial barter industry to grab the ball and run with it�by creating a universal worldwide trading currency. I'd like to share with you the progress we've made on our project here in Tamil Nadu. describes a comprehensive plan for development of the entire southeast India region, based on the organization of a non-cash payment alternative (mutual credit clearing). We are requesting that the funder provide about USD13,000 for this stage. The overall project will take about two years to become self-sustaining. established businesses, NGOs, local government agencies, and eventually, the general public. 3. you might suggest appropriate candidates to help staff our project. It would be especially helpful to have a project coordinator who has experience in the commercial �barter� industry, since skills in marketing, sales, and outreach to mainstream businesses will be key in building this trade exchange to reach significant scale. 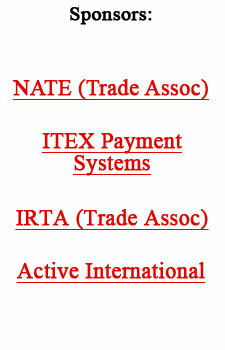 On August 1, 2007, ITEX announced it had acquired the trade exchange marketplace previously operated by Intagio Corporation. The final purchase price was $3,137,000, including certain accounts receivable. New overhead estimated to be $75,000 per month, including staffing costs, office leases, and general costs related to the acquired members. �We are pleased to see the current metrics of this acquisition holding up very strongly,� declared ITEX Chairman and CEO Steven White. �The numbers stated above are reported net of estimated allowances for inactive accounts and estimated reserves for uncollectible accounts. Iran is to help Nicaragua develop its infrastructure in return for farm products, according to a trade deal between the two countries. Under the agreement, Iran will help develop a port and build houses and industrial sites. In return, Nicaragua will export coffee, meat, and bananas to Iran. The two countries, which have strained relations with the U.S., have improved ties since Daniel Ortega became Nicaragua�s President in January 2007. Iranian President Mahmoud Ahmadinejad visited Managua in January, and President Ortega returned the visit to Tehran in June. Under the barter accords, Iran will fund a farm equipment assembly plant, four hydroelectric plants, five milk-processing plants, a health clinic, the building of 10,000 houses, and two piers in the western port of Corinto. The U.S., however, has warned Nicaragua that closer ties with Iran could harm its relation with Washington. Debut Broadcasting Corporation, a radio broadcasting and syndication company, announced that its radio syndication unit, Impact Radio Networks, has entered into two new content deals. They are part of an overall expansion of the company's syndication operations. Included is an expansion of the existing agreement with Dr. Criswell Freeman to add five new daily radio features as well as syndication of Doug Kramer's daily radio program Kramer's Funhouse. Doug Kramer is a well-known Clear Channel radio personality, currently syndicated in 14 markets. He added, �The technology underlying our daypart syndication offers a means for radio stations to get syndicated personalities on a barter, cash, or hybrid cost basis, adding completely localized elements in real time�a real local radio program with the station�s own music, hot clocks, and stationality. Thus allowing for better ratings, more revenue, and less work at the radio station level. Debut Broadcasting Corporation's nine-year-old radio syndication company, Impact Radio networks, distributes programming and services to over 1,100 radio station affiliates in the United States and Canada, reaching over 40 million listeners nationwide each week. For more information go to http://www.debutbroadcasting.com.